Air Infiltration -Happens when cold air or heat passes through small gaps or crevices in your windows. -1/16 of an inch gap around the sashes and main frame of a standard size window will allow as much air to enter your home as missing a brick in your wall! Conduction -The transmission of heat through matter -You lose valuable energy dollars because heat moves to the coldest area. — Why Select Energy Star? Greatly improves the appearance and value of your home. Eliminate time-Consuming maintenance chores. Provides a more comfortable home. Mastic Home Exteriors by Ply Gem can help you meet your sustainable building goals and earn points in leading green building certification programs. Our products offer features that positively contribute to sustainable building practices, improved energy efficiency or lifecycle benefits of homes. All are important aspects of sustainable building and reflect Mastic’s contribution to the Ply Gem Enviro initiative. Mastic vinyl siding is manufactured from abundant natural resources: salt (57%) and natural gas (43%). Vinyl siding generates less construction site waste than cardboard packaging, brick, or lumber. Our Performance Metals have been evaluated by a third party and are Green Circle certified to contain a minimum of 67% recycled content. Ply Gem facilities reuse and recycle. All post-product scrap material, pallets and packaging material, reducing raw material needs and landfill use. Mastic vinyl siding is lighter weight per square than other cladding options, so it requires less fuel to transport. Less fuel used means less pollution. When properly installed, Structure EPS Insulated Siding can reduce thermal bridging and help meet the requirements of an Energy Star Qualified new home. Structure EPS Insulated Siding, with a verified R-Value of up to 3.0, have been tested using the new 2011 FTC-Compliant testing method (ASTM C1363). R means resistance to heat flow. The higher the r-value, the greater the insulating power. Mastic vinyl siding is durable and requires no site finish. When installed properly and under normal use, our products should never require painting or staining. They won’t crack, peel, blister, or rot. All of our aluminum accessories are easily recyclable. In fact, at the end of its lifecycle in building applications, 100% of the aluminum can be recycled. Owens Corning is a world leader in building materials and composite solutions, delivering a broad range of high-quality products and services. But did you know that Owens Corning is now offering leadership in creating sustainable solutions for the roofing industry? Check out some Owens Corning sustainable roofing practices below. Owens Corning Roofing & Asphalt, LLC, was the first roofing manufacturer to help create a process that increases shingle recycling and material reuse across the country. It’s a 360-degree approach to sustainability, where attention is given to the end of life for shingles in addition to raw materials and manufacturing. When you take our Shingle Recycling Pledge, you turn your old roof into new roads. In addition to Duration® Premium Cool Shingles, Owens Corning Roofing offers TruDefinition® Duration®, Duration®, Oakridge®, Supreme® and Classic® Shingles in Shasta White that also meet ENERGY STAR® ratings. that is committed to sustainability. 2. All Duration® Series Shingles product lines achieves the highest wind ratings available in the asphalt shingle industry at 110mph* for (ASTM D 3161, Class F) and 150mph* for (ASTM D 7158, Class H). 10. Duration® Premium Cool Sunrise, Frosted Oak, Harbor Fog, Oakridge® Shasta White, Duration® Shasta White, and Classic® and Supreme® Shasta White shingles are Energy Star® Rated *see actual warranty for details, limitations and requirements. 12. Owens Corning is committed to sustainability – to meet the needs of the present without compromising the future In 2006, set targets for reducing environmental impact focusing on seven key aspects of resource use and emissions. 13. Owens Corning ranked 56th in Newsweek’s Green Ranking of Fortune 500 Companies. 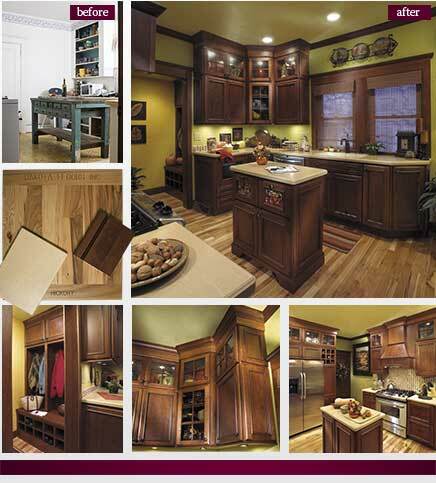 Check out this link for tips on how to transform your Kitchen.